I went to a Wally Moon book signing again last Thursday night. I'll explain why I went. I went to Dodger Stadium last Friday but then I left. 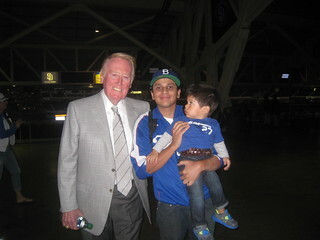 I couldn't go to Viva Los Dodgers last Saturday. And I took my baby to his first Dodger game earlier this afternoon! I'll catch up tomorrow. I promise. Good night. absolutely adorable! Gotta say... kid's got a great start already to what will hopefully be a lifelong passion... not bad for a first game, right? Enjoy the time...it goes so quickly. Awesome picture man! 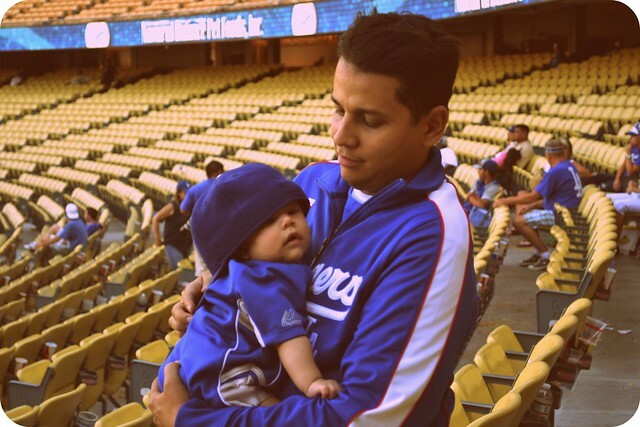 I can't wait to have a kid and take him to his first Dodger game! Saw you there ... considered it a celebrity sighting ... keep up the great work. I'll have a recap later tonight on this great day.